Sony has just released a new version of Sony Xperia, this time a entry level smartphone for the Xperia lineup. Sony Xperia M will be released in two versions, the Xperia M and Xperia Dual (Dual SIM). Available this September 1, 2013 in the Philippines for the Single SIM version, and October 2013 for the Dual SIM version. Both version will be featured with OmniBalance design to bring that sleek and snappy performance. Sony Xperia M will boost a 4 inch display, 1Ghz dual core processor, 1 GB RAM. Powered by Android Jelly Bean 4.1, a great alternative for Sony Xperia Z since they are identical in design, but cheaper in terms of price. 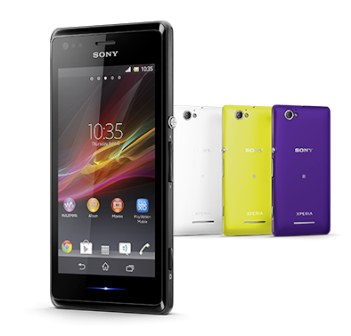 Priced at Php10,490 for the Sony Xperia M, and Php10,990 for Sony Xperia M Dual (Dual SIM) | Available this September 1, 2013 for the Single SIM, and October 2013 for the DUAL SIM. What can you say about Sony Xperia M? Kindly share your experience here if you have one. Thanks!